No trip to New York City is complete without seeing the sights, and of course, some major shopping. Whether you are a shopping in SoHo as a long-time New Yorker or a visitor, SoHo has some of the best stores in New York. In recent years, SoHo has grown to be a known shopping destination in NYC, from trendy boutiques to chain retailers, art galleries, restaurants and more. 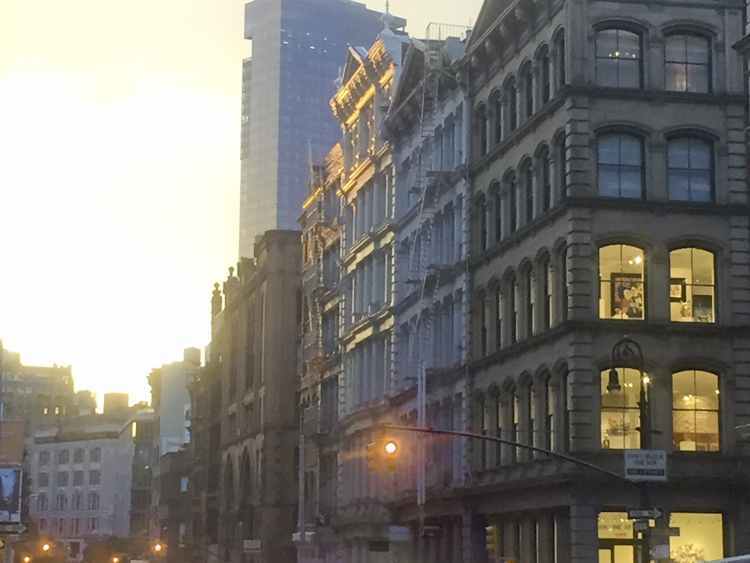 Shopping in SoHo can incorporate sightseeing of unique cast-iron buildings throughout Broome, Mercer, Greene and Wooster streets. While strolling the SoHo blocks check out these 5 shops with one-of-a-kind finds. Rudy’s Music - Since 1978, owner Rudy and wife Fran have operated Rudy’s Music to provide guitars to musicians worldwide. Check out this shop, where a love of guitars has grown from beginners to hobbyists to rock stars. Walk through the shop, where you can marvel at the beauty of exquisite acoustic, bass and electric guitars. The amazing collection of vintage guitars will have you dreaming of great guitar legends. One visit to Rudy’s Music and you will come back again and again. Other Criteria - Famed British artist Damien Hirst is the founder of this extraordinary shop, collaborating with new and established artists to provide SoHo with artwork, books and more. Here you can find art of a lasting quality, where you bring home the perfect piece, from sculpture to jewelry to prints. From experts to up-and-coming artists Other Criteria strives to showcase art for all walks of life. The unique works displayed in this gallery can leave the imagination to run wild, don’t miss out! Animazing Gallery - Animazing is one gallery not to pass by, featuring an ever-growing collection of illustrated and animated works of art. View famous works by pop-culture artists Charles Schulz (Peanuts), Ted Geisel (Dr. Seuss), Tim Burton, and Charles Addams. Even big names, Disney and Nickelodeon, have featured works throughout the gallery. Get lost in the most familiar artistic works at this delightful gallery. Vosges Haut-Chocolat - All SoHo explorations require a sweet treat, so why not partake in the sweetest of all treats? Deliciously, luxurious truffles and chocolate bars created with ingredients from around the world. Founder Katrina Markoff not only study at famed culinary institute Le Cordon Bleu, but journeyed around the world learning about indigenous spices, flowers, roots, herbs and liqueurs to enhance these exotic chocolates. Enjoy a pit stop at Vosges Haut-Chocolat to give your palate a thrill. Lazaro SoHo - We can't leave ourselves out! Artistically hand-crafted jewelry designed by owner Lazaro Diaz is the centerpiece for this edgy, modern day men's clothing and jewelry boutique. Jewelry inspired by architectural elements of history and culture with a hip, rock-n-roll vibe. The great designs don’t stop at jewelry, find high-style imported men's apparel from Japan, France, Italy and more. Don't forget to check out the rock and roll home accessories, and a VIP jewelry collection worn by musical and performing icons. Recycle and remix your old treasure, Lazaro SoHo offers custom jewelry design using your old gold. Take a stroll through the front door to find the perfect piece of “wearable art” created with a craftsmanship like no other. Do you have suggestions for shopping in SoHo? Comment below.